VoIP, or Voice over Internet Protocol is a technology that enables you to make and receive phone calls using your Internet connection. VoIP technology enables voice communications over the Internet through the compression of voice into data packets that can be efficiently transmitted over data networks and then converted back into voice at the other end. Data networks, such as the Internet or local area networks (LANs), have always utilized packet-switched technology to transmit information between two communicating terminals (for example, a PC downloading a page from a web server, or one computer sending an e-mail message to another computer). The most common protocol used for communicating on these packet-switched networks is Internet protocol, or IP. VoIP allows for the transmission of voice along with other data over these same packet-switched networks and provides an alternative to traditional telephone networks, which use a fixed electrical path to carry voice signals through a series of switches to a destination. Why is Hosted VoIP Best for Business Phone Service? 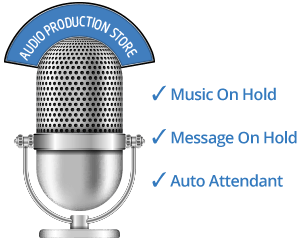 As a business, there are many features you need from your phone service: extension dialing, auto attendant, ring groups, and voicemail just to name a few. Traditional land line systems offer some of these features but require you to install expensive and bulky equipment in your office. 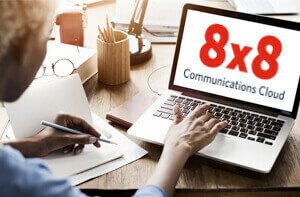 With 8x8 hosted VoIP service, we host all of the telecommunications equipment in our data centers which allows you to access your phone system using a high speed Internet connection. The bottom line: with 8x8 hosted VoIP you get all of the features that are necessary to run an effective business, without large and expensive equipment installations. VoIP is much more affordable than traditional land lines. Since 8x8 hosts and maintains all of the complicated technical equipment ourselves, you don’t have to. This means that you have minimal upfront costs and low monthly fees.